Michele Mescher, RVT, is the Hospital Administrator at Glenway Animal Hospital, and has been a staff member since July 1996. She attended the University of Cincinnati where she received her Bachelors degree in Biology and her Associates degree in Veterinary Technology. She completed her degree in Business Management and an MBA in Business Administration from Tiffin University. She lives with her husband Dave and their son Noah and daughter Katherine, as well as: two cats Franklin and Rerun; two dogs named Phineas and Athena; a guinea pig named Goku; and three fish. Her favorite part of the job is helping the patients and clients, and being able to work with a variety of animals. Michele has lived in Cincinnati her entire life, and outside of work, she enjoys scrapbooking, creating homemade cards, baking, various outdoor activities, and mostly spending time with her family. Caroline Short started working at Glenway Animal Hospital in December 2016. Caroline is a lifelong Westsider and graduated from Seton High School in 2010. She attended the Veterinary Technology program at the University of Cincinnati Blue Ash, where she gradated in 2016 with an Associate's in Applied Science. Caroline lives with her boyfriend, Ryan. They have one dog, Maisie, three cats, Ramona, Tilly and Javis, and six rats. When not working, Caroline enjoys spending time with her family and friends, visiting parks with her dog, and relaxing at home with a good book. Caroline enjoys working at Glenway Animal Hospital because of the relationships we build with our wonderful clients, and because there is always something new and interesting to learn. 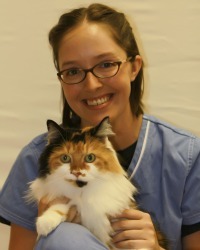 Erin Crisp Fitzthum, RVT, has been working at Glenway Animal Hospital since February 2006. She attended Miami University where she received her Bachelors degree in Zoology in May 2005. She graduated from the Veterinary Technology Program at Raymond Walters College in the summer of 2010. Erin is currently exploring her interest in animal behavior and considering pursuing a specialty. She currently lives with her husband Lee and their two cats, Abe and Elenore. Her favorite part of the job is spending the day playing with cats, small fluffy dogs, and the occasional ferret. She also enjoys the fact that it's "never boring" and that there's always something new to learn and see. Outside of work she enjoys reading, baseball, watching sports and going to the movies. Erin was born in New England and loves the Red Sox and Patriots. My name is Sarah Watson, and I am a veterinary technician. I graduated from UC Blue Ash with a degree in Veterinary Technology in 2017. I originally am from Columbus, OH, but moved over here to study at Blue Ash for my degree! I have a wonderful 13 year old pup back in Columbus named Karmen, but currently do not have any pets over here yet! In my spare time I love to play video games and love to watch movies! Hi my name is Jill Leston I graduated from Oak Hills in 2008, I have always lived on the west side. I am currently taking classes at UC Blue Ash. I have had six guinea pigs and a hedgehog and I love dog sitting for all my friends. I enjoy taking road trips with friends, camping and going to concerts. I love being part of the Glenway Animal Hospital. Alexis Doyle Motino is a Registered Veterinary Techinician. She graduated from Walnut Hills High School in 2009. She studied Pre-Veterinary Medicine at University of Cincinnati Blue Ash College and graduated in April 2013 with an Associate of Applied Science. She became a Registered Veterinary Technician after passing the Board exam in August 2013.Although she has only been working as a vet tech since 2013, she has worked various positions in veterinary medicine since 2009. She live with her husband, Julian, and our three kitties, Jeremy, Annie, and Luna. She enjoy working at Glenway Animal Hospital because she has found a group of individuals who share the same passion for helping animals. Everyone works well together and does their best to provide great medical care and customer service. She also love being able to work with and learn more about a variety of animals.Keeping animals happy and healthy is a very rewarding experience and she is proud to be a part of it. Outside of work Alexis enjoy spending time with her family,reading, swimming, outdoor activities, and trying new things. 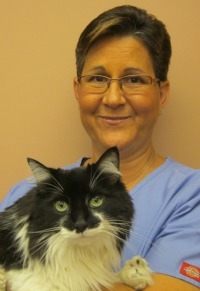 Diane Zdelar-Bush, RVT, has been with Glenway Animal Hospital since June 2007. She says she's working towards retirement, and although she's considering more training in a specialty, for now she likes "basic care of critters." She has a golden retrievers, Marvin, who undoubtedly agree with her reading recommendations of Chicken Soup for the Dog Lover's Soul and Walking Circles Before Lying Down. Ashley Goebel is a Veterinary Technician,she has been working at Glenway Animal Hospital since August 2013. 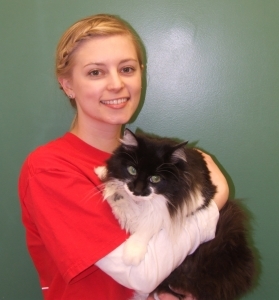 Ashley graduated from the University of Cincinnati in the Veterinary Technician Program. 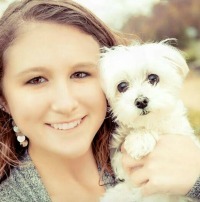 When not working, Ashley enjoys volunteering at the a local animal shelter. She says, "I love to work with the homeless animals and bring home fosters who need my help." Ashley has a dog named Pixie, a cat named Chewy and a guinea pig named Edna. Ashley says, "I love working at Glenway because it is a great learning experience and I love meeting new pets everyday!" 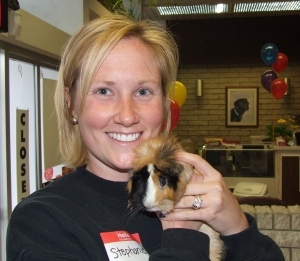 Stephanie Heiman is a Veterinary Assistant and has been working at Glenway Animal Hospital since August of 2009. She took classes to become a Veterinary Technician and enjoys learning more about cats and dogs, although she loves all animals. Stephanie has two chocolate labs named Bayley and Loey. Bayley lives with her parents, but is really the whole family's dog. 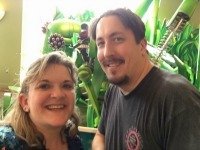 Stephanie and her husband, Jeff, are having so much fun with her. She has three children that keep her busy too. She loves working at Glenway Animal Hospital because of the people, the environment, and the fact that she learns something new each day and everyone is so helpful. 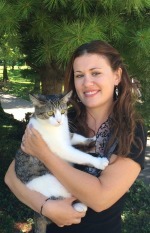 Emily Jenkins is a Vet Assitant and CCR with Glenway Animal Hospital. Emily grew up on the Westside. She earned a bachelor's degree in Elementary Education from the College of Mount St. Joseph and worked in Oak Hills Local School District until her son was born. 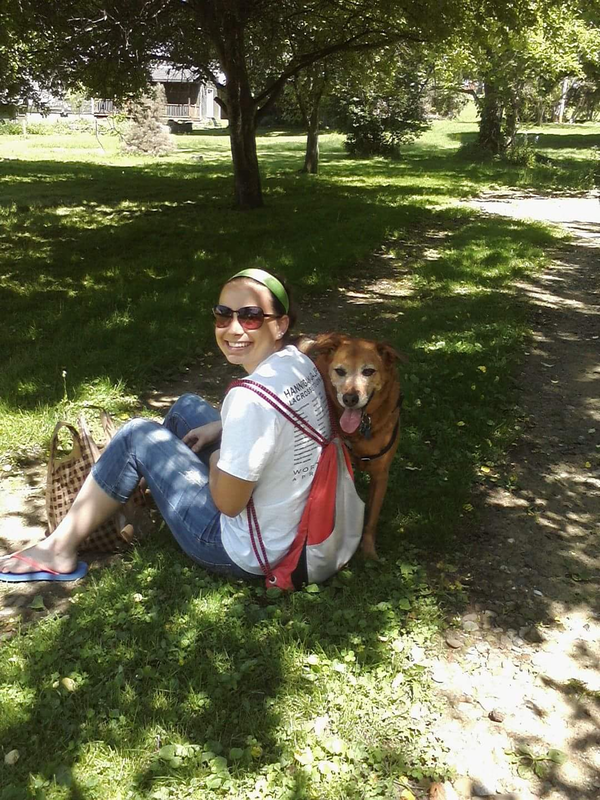 As a stay-at-home mom, Emily stayed busy volunteering on a citizen's task force that worked with the Cincinnati Park Board to establish the Mount Airy Dog Park. Eventually her passion for animals led her to the field of veterinary medicine, which she has been working in since 2004. Emily has taken many classes in veterinary technology and is eager to continue learning new ways to provide better care for animals. Emily enjoys spending time with her son, Tom, and her dog, Izzy. She also enjoys putting together jigsaw puzzles, rollerskating and working outside in her yard. 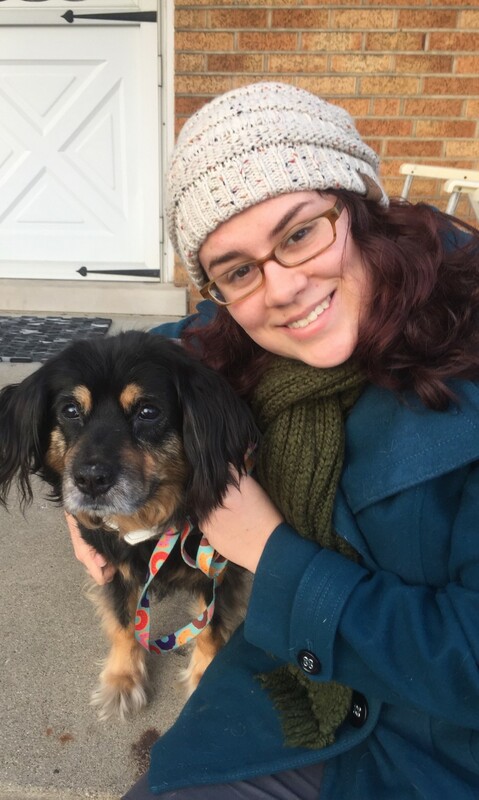 Emily likes working with everyone at Glenway Animal Hospital because she shares their philosophy of animal advocacy, community outreach and providing excellent service. 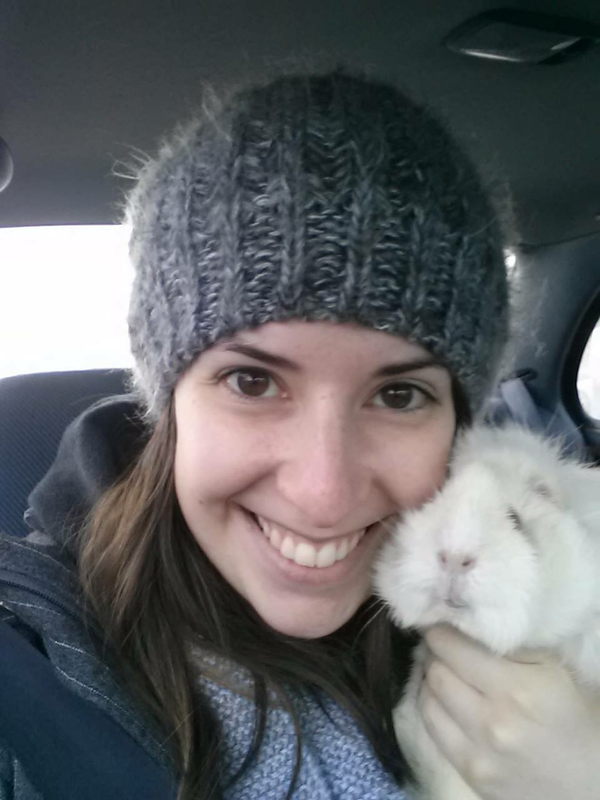 Alysia Bauer has been working at Glenway Animal Hospital since June of 2013 as a Client Care Representative and a Veterinary Assistant. She is currently attending Northern Kentucky University in pursuit of a Bachelor’s degree in Visual Communication Design. Alysia has a cat, PepperPants, and a dog, Bentley. In addition to working with a great group of people and getting to spend time with a variety of animals, she loves working at Glenway Animal Hospital because there is something new to be learned each day. Outside of work, Alysia enjoys art projects, outdoor activities, and listening to music. Becky Hafertepen has been with Glenway Animal Hospital since August of 2006, and works the front desk as a Customer Care Representative. She was raised on the West Side of Cincinnati and is a '75 graduate of Oak Hills High School. She lives with her husband Bob, two dogs (Rosie and Taz), two cats (Tails and Willow), and 5 gold fish. 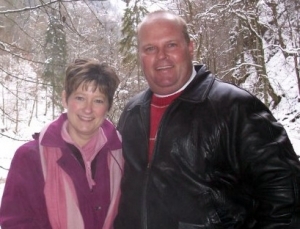 She also has two sons: Matt who lives in Kansas and Nick who is an MP with the Marines. Becky enjoys meeting people and their pets, and thinks Glenway Animal Hospital "has the best vets and staff in town, which makes it a pleasure to come to work." Her future plans include spending time with her grand daughter Emily. 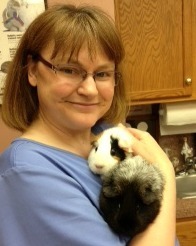 Erin Heitkamp Krallman has been working at Glenway Animal Hospital since June of 2009 as a Client Care Representative. She earned a Bachelors degree from Xavier University in Business and is currently working on an Accounting degree at the University of Cincinnati. Erin lives with her energetic Hound mix, Maverick, who loves every person and animal he meets. "I look forward to coming to work because of my friendly co-workers, the adorable pets to play with, and the variety of things to learn everyday. While only being employed at Glenway Animal Hospital since February 2012 as a Customer Care Representative, Colleen Steinmetz has over 36 years working in the veterinary profession. 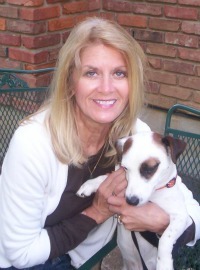 She lives with her husband Mark of 30 years and George, their Jack Russell Terrier who was rescued from a shelter. She has a daughter Megan and son-in-law Ben, along with a hound mix grandpuppy named Cozmo. She enjoys reading, working in the garden and keeping up with George. He loves chasing the lizards that have invaded the Westside. 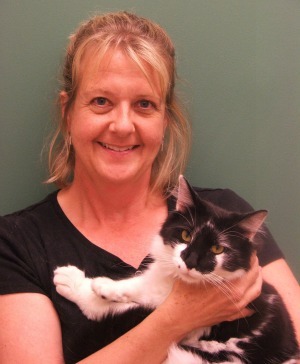 Kathy Wood has been with Glenway Animal Hospital since April 2012, but she has been working in veterinary medicine for years. Kathy is from the Westside of Cincinnati and graduated from Seton High School in 1974. She stays very busy with her husband, 4 boys, 6 grandchildren, 5 dogs, and 5 cats. Kathy's favorite hobbies include working in the yard, scrapbooking, and taking photos and hanging out with her growing family. 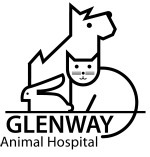 Kathy says, "The things I like about Glenway Animal Hospital are working with talented people that do there jobs great. Everyone will help you and everyone is great to be with. The vets are the best at Glenway. We all love animals and care about them when they are sick and when they are well." In Memory of Scooter who was the official greeter of GAH. She came to GAH in the fall of 2003. Scooter was living on one of the Cron's neighbor's porches because she did not have good bathroom habits. Everytime Diana and Elizabeth Cron came by walking the dog, she came running , or rather scooting out to greet us . We were smitten. When we were finally able to talk to her owner, we found that she had been bitten in the back by a dog when she was just a kitten. Despite earlier medical treatment, she had permanent damage to her spine in the area that controls bladder, bowels and hind legs. Scooter's owner allowed us to bring Scooter into our office for a diagnostic workup and treatment, and ultimately to stay. While her physical challenges would make it difficult for her to live in a home, she does the best when she can get plenty of time to scoot around. We decided to adopt her as our permanent mascot. Scooter is quite the lucky cat to have all her medical needs (and her whims) tended to by the dedicated staff of GAH. Her primary jobs are to greet clients and patients by day and keep the other clinic cats in line at night. She is well loved and has found a forever home in our hospital and the hearts of our team members and clients. In Memory of Angus has been a GAH family member since August 2008. He was extremely ill when he came in and needed aggressive treatment and a long period of hospitalization to get better. 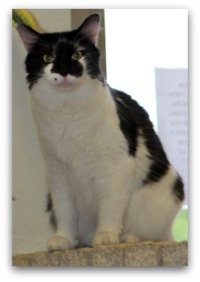 When he finally did, we found that he is a VERY cool cat, but nobody we knew was looking for a cat with quite as much energy as he has. He and Axl also became bonded rather quickly and now they are inseparable. His favorite spot to sleep is on a computer printer where he often turns it on himself so he can paw at the paper as it shoots out. He loves to help type medical records with anyone that will let him. His secret wish is to someday get Scooter's job, as he loves to say "Hello, pet me and see what I can do...and how fast I can run...and how much trouble I can get into, but aren't I so cute doing it, so you really can't get mad at this sweet face, can you?" to everyone that comes in.